Sorry for the bit of radio silence, but I have been in the middle of the best summer ever. With that I was commissioned to make a few tank tops for a friend and have been busy in my work shop ever since. I need to figure out what a walking foot is, and buy one. It's my only hope. I quit while I was ahead and will only need to re-cut the front. I hope to ding a few more sewing skill levels and come back to it. I will not let some flowy fabric beat me. But since I was in a blind rage I thought that it was a perfect time to rip up my pageant ball gown. Boy was that fun! I now have miles of tulle that might become niece tutus. But the top had some boning in it, and fit... so why waste it? I only took 1 pic of version 1, and it was Snapchat to the Hubs, hence the writing on the bottom. I didn't use a pattern, that why it didn't fit on the bottom (wayyy too tight). 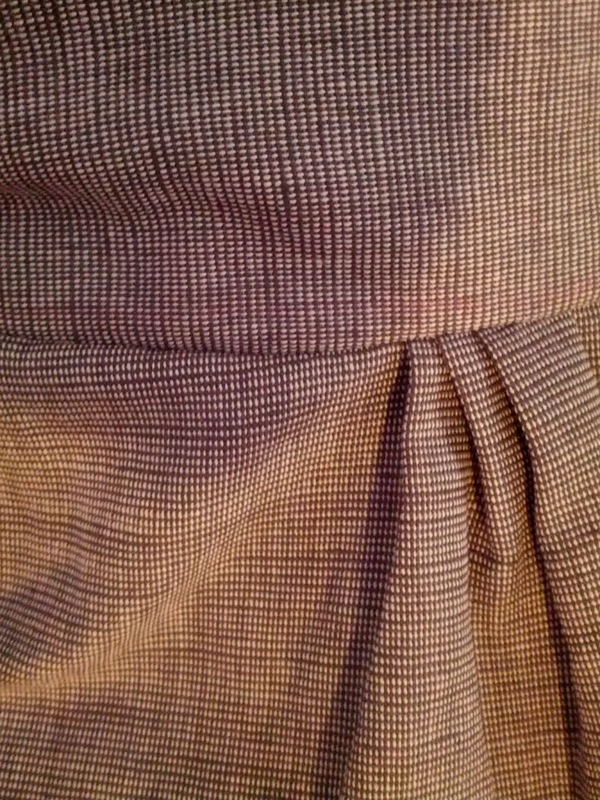 But I cut off most of the skirt and added a circle skirt to it. 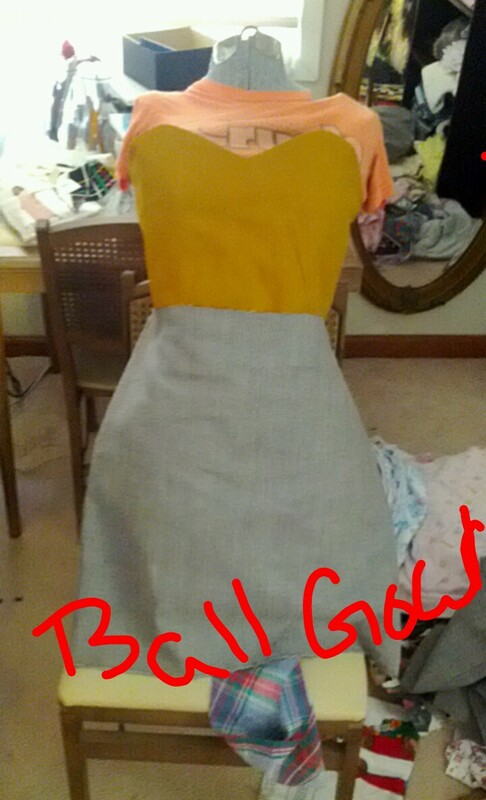 As you can see in a fight to have enough fabric I had to cut one of the skirt pieces out on the bias. 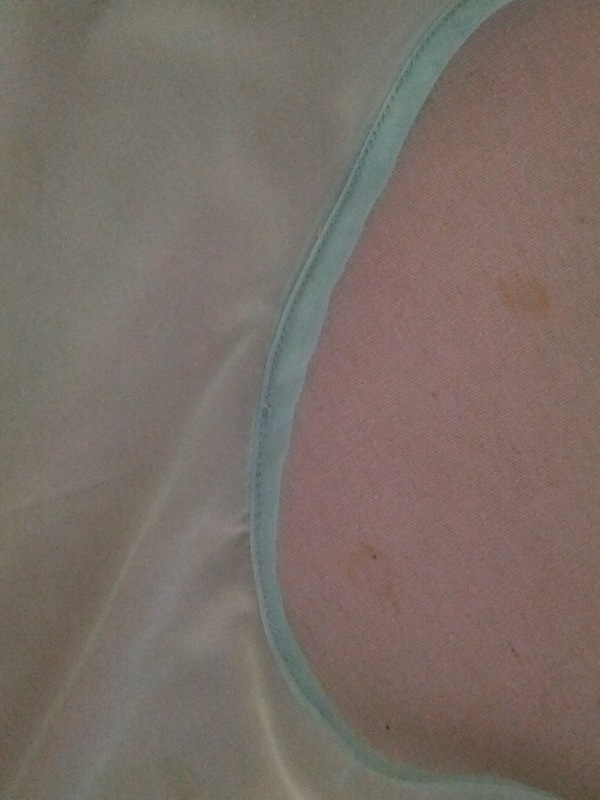 I think it adds a little something but I want it to hang/stretch out over night before I hem it. I'll post full shots tomorrow when the lighting is better. Get ready, it totally rules.